Residing in Central African Republic? Great, please give us some comments, so we can update this page. For ROK II Player Characters to enter the Tavern you must first Create a Character via ROK II. Donald Trump: President of the United States of America - Real Estate mogul, Pageant owner and now one of the most controversial men in political history. By News 2.9 Days Ago Discuss It! Global Warming: Natural Or Man-made? : Global warming has been in and out as the "latest" hot topic for many years. It is, according to modern scientists, the result of man-made industrial pollutants, clearing forested areas, agriculture, etc. But now they are thinking it started way before the Industrial Revolution... By Pagan 30th Mar, 2019 - 6:07am Discuss It! The Trump Immigration Wall: WARNING you may find the contents of this Thread offensive, view at your own discretion. By News 15th Mar, 2019 - 10:36pm Discuss It! Russia vs USA: versus Russia: 'The Evil Empire'? Are they all that bad or is it just the USA trying to portray Russia as bad because they are a world power with land bigger and a society very different from the USA ideal? By News 27th Feb, 2019 - 2:49am Discuss It! Atheists Not To Be Feared! : New look at Atheists and their thinking - Atheism - Athiest - Do Not Believe In God By Xxbellaxx 13th Feb, 2019 - 8:12am Discuss It! Stan Lee: Comics By SMF 11th Dec, 2018 - 1:08pm Discuss It! Kissing Up To The Boss In The Workplace: By Reformist 22nd Nov, 2018 - 7:05pm Discuss It! 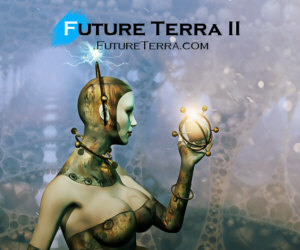 Future Terra II Text RPG General Discussion: By JB 22nd Nov, 2018 - 12:53am Discuss It! Men In Uniform - Authorized Excessive Violence: WARNING you may find the contents of this Thread offensive, view at your own discretion. By Pureyang 14th Nov, 2018 - 3:03pm Discuss It! Your View On The Nature Of Interests: By News 4th Jul, 2018 - 7:30pm Discuss It! Wide Screen Columns: Users with wide screen monitors can benefit from more content on every page. By JB 14th Oct, 2017 - 12:32am Discuss It! Offensive Trademarks: By Abnninja 20th Jun, 2017 - 4:16pm Discuss It!